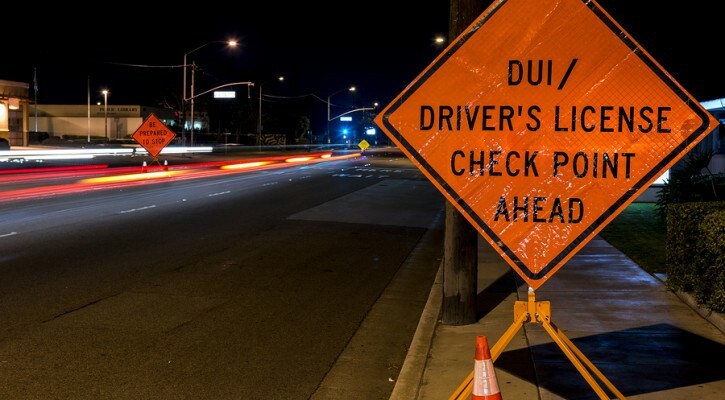 Communities that engage in strong DUI enforcement practices have fewer drunk drivers on the road than communities without such strong measures. This finding is according to a study conducted by the Pacific Institute for Research and Evaluation (PIRE) and published in the journal Alcoholism: Clinical and Experimental Research. While education efforts about the dangers of drunk driving by organizations such as Mothers Against Drunk Driving (MADD) have been successful in raising awareness of the issue and reducing the number of DUI related deaths over the past 30 years, drunk driving is still a major problem on American roads. Drunk driving remains responsible for approximately one-third of all traffic deaths in the US each year and deaths in alcohol related crashes actually increased by 4.6 percent from 9,865 in 2011 to 10,322 in 2012 according to the National Highway Traffic Safety Administration. According to a 2010 study conducted by the Centers for Disease Control and Prevention (CDC), there are approximately 300,000 incidents of drinking and driving on America’s roads each day. Drivers on the roads in communities who were exposed to fewer than 228 traffic stops per 10,000 population aged 18 and older had 3.8 times the odds of driving with a BAC of 0.08 or higher compared to those drivers on the roads in communities with more than 1,275 traffic stops per 10,000 population. Drivers on the roads in communities with fewer than 3.7 driving under the influence (DUI) arrests per 10,000 population had 2.7 times the odds of BAC-positive drivers on the roads compared to communities with the highest intensity of DUI arrest activity. The study’s authors concluded that once the local population realizes that police are using DUI checkpoints and other strong DUI enforcement tactics, the number of people willing to risk driving drunk goes down significantly. Using undercover police officers to enforce Florida’s law against serving alcohol to intoxicated bar and restaurant patrons would reduce alcohol-related crash fatalities by an estimated 11%. It would cost $0.50 per licensed driver and save $40 per licensed driver. Intensive enforcement of Florida’s BAC limit with highly visible sobriety checkpoints would reduce alcohol-related fatalities by at least 8% and save $112,400 per checkpoint. Including costs of travel delay and the value of mobility losses by impaired drivers apprehended and sanctioned, the costs of conducting a checkpoint would average $15,900 including police resources. The Chattanooga, TN police department has a dedicated squad of three officers and a sergeant who work full time in DUI enforcement. Through creative tactics and by gaining the trust and support of bar owners, they’ve been able to reduce the number of DUI related traffic fatalities in Chattanooga by sixty percent; all while DUI related deaths in nearby regions have risen over the last year. An unexpected benefit is that taxi service in the city has almost tripled. Alcohol detection interlocks in vehicles for first time DUI offenders.